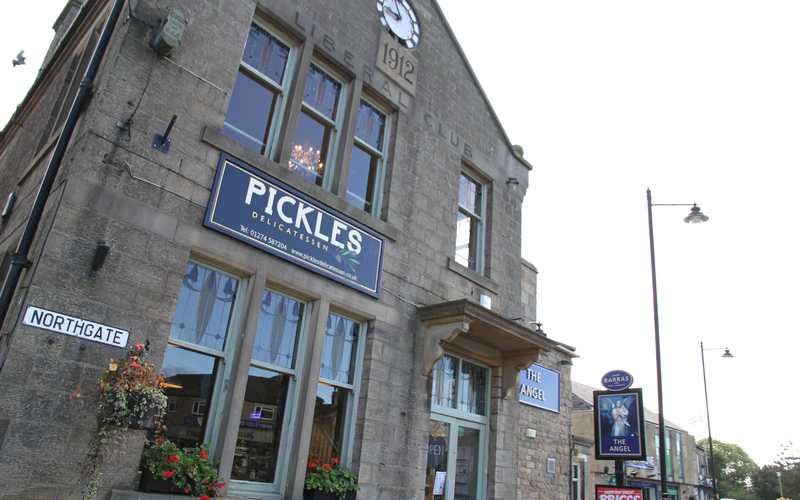 Pickles is a great place to meet friends for lunch! 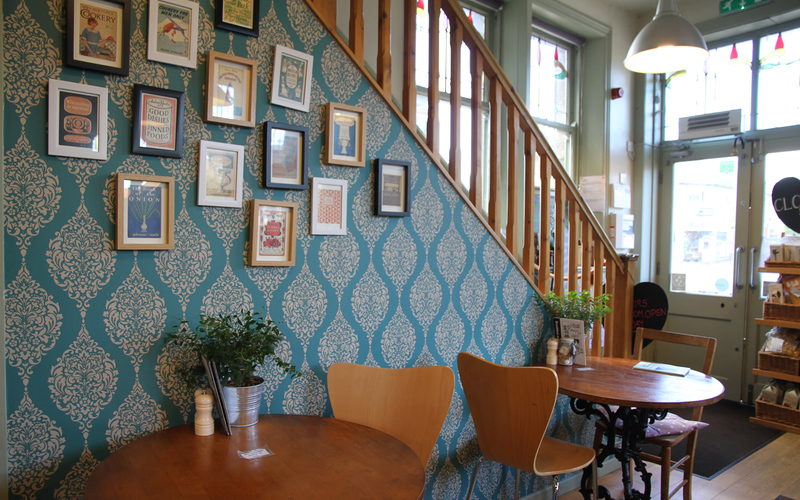 We serve a lovely selection including sandwiches, ciabatta toasties, homemade soup, quiche and deli platters, proper baked potatoes and daily specials. Little ones are welcome and we have a yummy kids plate with child-friendly sandwiches (no green stuff), fromage frais and a biscuit. Cakes are on offer all day long. Lemon drizzle and chocolate are always popular, and our carrot cake is famed for miles around! 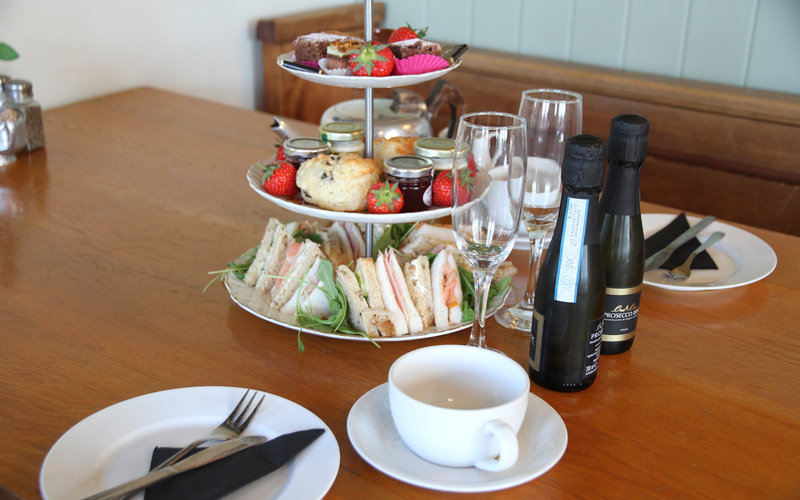 Scones with jam and cream and our tray bakes are also popular choices. 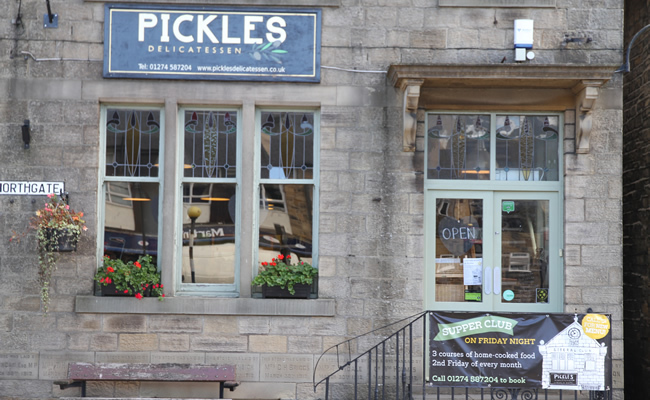 On Saturday, we serve the Pickles big breakfast, with choices like our posh fry-up, scrambled egg and smoked salmon, hot buttered crumpets, or just tea and toast with local jam. 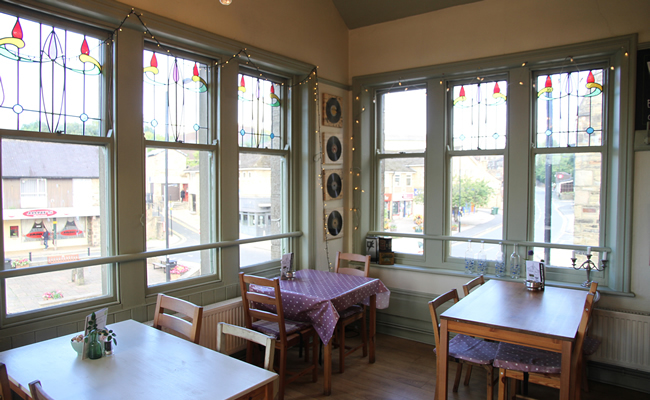 You’ll find us in the historic Towngate Rooms right in the centre of Baildon. There’s parking close by in the Ian Clough Hall car park.